Border Guard Day is an annual professional holiday in the Republic of Armenia celebrated on April 26. 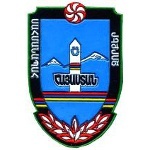 It was established in 2007 by President Robert Kocharyan. Such a date was chosen because on April 26, 1994, the draft of the National Border Act was presented. The Act was passed into law in 2001. Border Guard Day was established in 2007 in order to celebrate the contribution of the Armenian Border Guard to the country's national security. The Armenian Border Guard is one of the service branches of the Armenian Armed Forces. It was created on January 28, 1992, and initially worked under the jurisdiction of the Ministry of Defense. Since 2004, it has been operating under the framework of the Ministry of National Security and Internal Affairs. The Armenian Border Guard is involved in monitoring and guarding the country's borders with neighboring states (Azerbaijan, Georgia, Turkey, and Iran). It works in close cooperation with a Russian military contingent headquartered at the Russian 102nd Military Base in the city of Gyumri.